I am indebted to Mary Flagg, University Archivist, for allowing me the opportunity to work on this project and for her encouragement and support. I also owe a special thank you to Linda Baier, who supervised this project, for her patience, guidance, and support. This finding aid has benefited greatly from her fine editorial skills. Biographical sketch: Canadian novelist David Harry Walker was born near Dundee, Scotland 9 February 1911. He received his early education in England, at Shrewsbury, later enrolling at the Royal Military College, Sandhurst. After graduation in 1931, he was commissioned in The Black Watch, serving with the foreign battalion in India and Sudan (1932-38) and in Canada as aide-de-camp to Governor-General Lord Tweedsmuir, the novelist John Buchan (1938-39). On 27 July 1939 he married Willa Magee of Montreal. The couple had 4 sons: Giles, Barclay, David, and Julian. In September 1939, amid threat of war, Walker returned to England, where he trained recruits. The next year he was posted to France with The Black Watch 51st Highland Division. Captured by the Germans at St. Valery in June 1940, he spent nearly 5 years in prisoner of war camps, escaping 3 times. On each occasion he reached the outside, only to be recaptured. While interned at Colditz Castle, he began to write poetry. Freed by American troops in 1945, he was later awarded the M.B.E. In 1946 he travelled to India where he served for a short time as comptroller of the household for Viceroy Lord Wavell (1946-47). Following retirement from the British army, he returned to Scotland briefly, emigrating to St. Andrews, N. B. in 1948, intent on becoming a writer. A prolific author, Walker enjoyed a long and successful career which included the publication of approximately 100 short stories and 20 books. 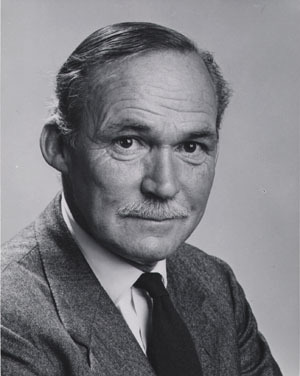 His novels The Pillar, about a prisoner of war camp, and Digby, a Scottish highlands story, won the Governor General's award for fiction for 1952 and 1953 respectively. Several of his books, including Geordie, made into a motion picture, were set in his native Scotland, while Mallabec and Pirate Rock were set in his adopted home, New Brunswick. Where the High Winds Blow, written following a dogsled adventure in the Canadian North, is considered his most popular Canadian novel. His last book, Lean, Wind, Lean, an autobiography, was published in 1984. Beyond his writing career, Walker took a keen interest in community affairs. An active conservationist, he served as president of Sunbury Shores Arts and Nature Centre in St. Andrews and as chair of St. Andrews Centennial Park. Between 1965 and 1991 he sat as a commissioner of the Roosevelt Campobello International Park Commission, serving as chair from 1970 to 1972. His success as a writer and his community involvement won him recognition. In 1955 the University of New Brunswick awarded him an honorary doctor of letters, and in 1987 he was made a Member of the Order of Canada. Walker died at St. Andrews on 5 March 1992, at age 81. In 1997 the Walker family established the David H. Walker Prize in Creative Writing at U.N.B. Scope and content: This fonds documents David H. Walker's 45-year literary career as author of 19 novels, over 100 short stories, and several works of non-fiction -- most notably, an autobiography, Lean, Wind, Lean. It also reflects his military career in The Black Watch (1931-47), including his internment in German prison camps during the Second World War. The fonds also includes material relating to Walker's family life, his personal relationships, his friendship with Lord Wavell, and his travels in Canada and abroad as well as several awards and honours. This fonds consists of 6 series: 1) personal, 2) prisoner of war, 3) literary career, 4) research trips, 5) photographs, and 6) artifacts. It includes incoming and outgoing correspondence, notes, draft manuscripts, draft scripts, agreements with publishers and film makers, published short stories, reviews, royalty statements, and publicity material as well as copies of speeches, travel and family photographs, biographical material, mementos, and awards. Artifacts include: commission in The Black Watch, Governor-General's awards for fiction (1952 and 1953), and warrants making Walker a Member of the Order of the British Empire and a Member of the Order of Canada. Title based on name of the creator. The material comprising this fonds was deposited with Harriet Irving Library Archives and Special Collections by Mrs. Willa Walker, widow of David H. Walker, on 1 May 1996. Before deposit this fonds was organized by members of the Walker family. For the most part, the archivist has followed their arrangement. In many cases, correspondence, travel notes, and other items have been annotated by the family. U.N.B. Archives and Special Collections houses the Stuart Trueman fonds which contains correspondence between Walker and Trueman about the publication of Alden Nowlan's book, Campobello: The Outer Island (see Trueman fonds finding aid, series 1, correspondence). The Trueman fonds also includes material relating to the Roosevelt Campobello International Park Commission covering the years Walker served as a commissioner and chair (see Trueman fonds finding aid series 6, committees). Photographs of David Walker receiving his honorary degree from U.N.B. are located in the Joe Stone and Son Ltd. fonds also housed at UNB Archives. See "Encaenia" 1955.